Can nice guys finish first when it comes to business? Recent business trends point to a higher level of capitalistic ventures with a socially responsive angle than in years past. According to an international study by the Global Entrepreneurship Monitor, nearly half as many entrepreneurs are launching socially responsive ventures as compared to those with purely capitalistic intentions. In fact, some of the largest companies today, such as 99designs, began as social entrepreneurship. It’s become clear that doing social good has a direct tie-in to brand loyalty, and ultimately helps drive profits. 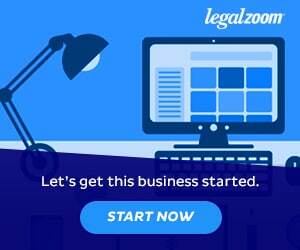 Business leader LegalZoom lists seven reasons why charitable giving is beneficial to your small business bottom line; such as boosting morale, improving your community and networking. Let’s take a closer look at the state of social enterprise in the U.S. and how it’s influencing consumerism. A social enterprise is a business that, either in its core mission or through satellite efforts, addresses a specific social need. This is often in confluence with the concept of social innovation or rather, using unique or trailblazing methods in order to aid a social cause. The term social enterprise, with roots as far back as 1978, has begun to gain popularity amongst organizations both big and small that are looking to strike a profitable balance at the juncture between capitalism, entrepreneurship, and social responsibility. The relatively equal split in motivations for going into business as mentioned above is partly a result of the shift in the workforce ecosystem. Employees are less likely to spend the entirety of their careers with one organization and are opting to work remotely in increasing numbers. At the same time, inroads to emerging technology are creating opportunities for disruptive innovation and demographic representation in historically siloed sectors. There is a significant lack of consistent data to accurately depict the landscape of social entrepreneurship in the United States. However, non-profit organization Pacific Community Ventures has administered the Great Social Enterprise Census in recent years, in an attempt to learn more about the state of American social enterprise and gauge pain points for organizations and investors. Their research has pointed to a greater need for support among entrepreneurs, specifically startups, in market research, business plan development, and acquiring capital investment. Social entrepreneurs have to find more creative ways to approach roadblocks like sourcing investors because of the nature of their business models. In lieu of pitching conventional banks, many seek out incubators, grants, or corporate angel investors. Although this tactic has proven successful in cases such as Charity:Water, entrepreneurs have to make sure that they don’t undermine their own altruistic mission statement in the pursuit of profit. The ultimate goal for any business is to understand their consumer well enough to structure their business model, marketing efforts, and future product development around a specific buyer persona. Being able to create real, emotion-based bonds between a consumer and a brand has a direct impact on the sales funnel. Individuals with a positive emotional association with a brand are worth two times as much as even a highly satisfied average customer and are seven times more likely to purchase again. The ability to leverage emerging technology themes like artificial intelligence in analyzing public sentiment and emotional impact will enable entrepreneurs to market themselves more powerfully and accurately than ever before. The “emotion economy” is the future of brand interactions, with smaller entrepreneurs and startups leading the charge. Cost-effective working environments like coworking have become a popular trend among lean startups. Being able to network with like-minded, socially conscious entrepreneurs, and gaining access to resources like workshops, conference rooms, and event space is invaluable. This is especially beneficial in the early stages of a company, where stakeholders have to buckle down on spending in order to scale for growth. Social entrepreneurship covers a broad spectrum of companies, from big-name brands looking to double down on their corporate social responsibility initiatives to small startups working fervently to disrupt legacy corporations. These companies tackle industries like tech and healthcare with innovative, socially responsible solutions to modern problems. It’s clear that as consumers continue to evolve towards more digitized modes of interaction and purchase decisions, the ability to capture their loyalty through social good and emotive advertising will become the norm. Contributor to Enlightened Digital and software engineer from the one, the only New York City. When I’m not trying to find the best record store in the city, you can find me curling up to watch some Netflix with my Puggle, Hendrix.